Yeeehaaa, i love Kimmel and.. i love you! :P So, perfect. Will you be there on the JimmyKimmel - LOST - Special after the series finale, too? Would be great. Great picture!! I will have to set my dvr for this!! Thanks for the heads up. Nice! I love Jimmy's LOST segments with actors from the show. It's Tuesday, baby! Wooot! I didn't see you on the guest list for the post-finale Kimmel, so I'm glad you'll be on tonight. Will be sure to check it out. Damn, we don't have Jimmy Kimmel in the UK....will have to check on youtube in a couple of days. Did you do a duet with Sarah Silverman about effing Matt Damon? I HOPE SO!! Kimmel is on too late for me, but I will hulu. ps. I've read your blog since I found it last year. I love it-- and really hope you keep going even after you get off The Island. You and Micky Rourke tonight! Awesome. How was meeting such a badass? Wooohoo! Tonight's gonna be a GOOD GOOD night! nice:o, just a question, will it have spoilers? I've got my DVR set to record! I will be there. I got tickets to come to the show last week. I'm excited to see you there. I'm coming up from San Diego. Jimmy - who, what, now? Fantastic, we'll be tuning in! I'll have to hope to catch it on YouTube tomorrow. And speaking of YouTube....me and my kids have completely fallen in love with this commercial. We can't get enough of it. My kids won't stop singing it. And I keep wanting the sandwich. The finest acting on LOST thus far. Amazing episode. I will miss this. Sayid (Naveen Andrews) my top fav from the beginning show #1. so sorry to see him go :( :( & i hope you tell him so! and Sun & Jin and didn't the pilot get killed too? keep on plugging Hurley & watch your back. hope your character is round til the end! I just watched tonight's episode and you almost made me cry at the end. Nicely done. you did some really good acting! Can't wait to see you on kimmel, especially after the latest heartbreaking episode! How did I not know of this blog before!?!?! Great acting job on tonight's episode. The beach scene you did at the end got me the most. Hope I can make it to midnight! You're an awesome actor. Thanks for 6 seasons of great entertainment. I wished Nunu made a cameo... Glad the the finale has an extra 30 minutes..gonna ROCK! Just finished watching. So awesome to see the blog mentioned! You were great! You were awesome tonight on Lost and Jimmy Kimmel. You left me in tears in the very last scene for tonight, I honestly felt like some of my best friends died after knowing them for six years in the series. They built all of your characters so well! I will miss you in my home every tuesday night! You will and have always been my favorite person on Lost! wow man...i cried my eyes out tonight. Haha, just watched it. Fills my heart with glee that one of rat clips were shown :D.
You looked a little tense tonight, which I thought was odd since you've been on Jimmy Kimmel's show before. Was something wrong, or was it just my imagination? Hey, it was great seeing you tonight at the Jimmy Kimmel show. My girlfriend and I love you and Hurley and want to thank you for doing such a great job for these six years. We'll miss you, but hopefully we'll get to see you in some more stuff soon. Have a good one! Dude, you are the best! You are the only person I know of with more epic sideburns than mine. Congrats on such a wonderful role on Lost, and I hope to see you again on some other totally awesome TV series or movie! omg i cried at tonight's lost when you cried over jin and sun. great job! saw you on kimmel! Rat videos on Kimmel. I feel bad for Beth though. Have just watched it on U-Tube - was sooo funny to see Beth on there too! BUT I'm gutted now cos we haven't seen 'The Candidate' here in the uk yet and there was a major spoiler in the Jimmy Kimmel 'round-up of Lost' after the interview. I'm off to sulk! Great interviw tho! 1) Great Jimmy Kimmel show. 2) Tried cupcakes the way you showed & love it. Its my new secret. 3)Good Luck with your future. You made 'Hurley' a guy everyone wanted to be friends with. I was being strong last night, until I saw you crying. ...I mean, before you were on Kimmel. What kinda stuff did you guys talk about during the break? Anything cool? OMG Beth was so funny in that video! AND he mentioned the blog! Yay. So where you moving to? I just watched it online. Hilarious! What was with that doll?!?!! I love that he showed that rat video. Classic. Loved the Kimmel interview! And I've been giggling about "Baby Under Hilly" ever since! 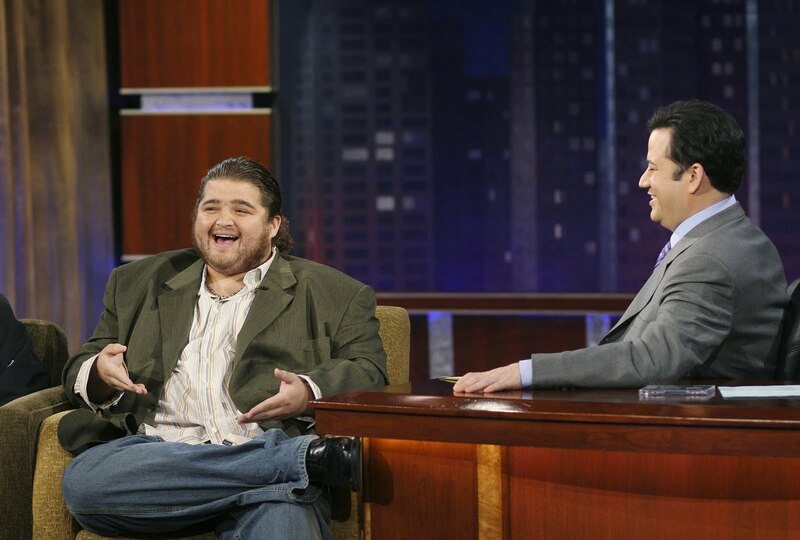 You were great on Jimmy Kimmel - can't wait for the final episode of Lost, except I don't want it to end! Your acting last night was amazing. Love you! Didn't get to watch this... but I seriously can't stop thinking about your performance from last night's episode... beautiful. Although I am 33 weeks pregnant and can cry at the wind blowing a tree, I seriously tear up when I think about your weeping for the Kwons. amazing. Just found the interview on youtube. You come across as very genuine, laid back and cool, not to mention extremely funny. The part with the deformed hurley doll and the clip of beth freaking out was effing hilarious. Excellent! I loved the rats...but you didn't get killed for airing that video? Just watched you on Kimmel! It was great! You made me cry so hard last night when you started crying on Lost! I can't believe its almost over! Hahahah, I wonder how Sidekick22's gonna feel about this lol. So uhhh... when's the next JGB? I did see you on Kimmel, heard about your blog, came here and screamed "eek! Hurley has a blog!" That's exactly how it went down. Loved revisiting your little rat adventure-And your mention of Beth's "ocd moment" was too funny! I'm just curious-are you going to keep the title of your blog the same or switch it to something else now? Just as long as you don't quit posting, it doesn't matter! Such power in one tear. And then you wept. .... and I did too. "Baby Under Hilly..." LOVED it. Like everyone else here... so so glad you've been keeping this blog and hope you'll continue. I check it every day and frequently send quotes to the hubby, friends, etc. I caught you on Kimmel and thought you seemed really nervous....were you? And how did Beth appreciate having her home movies on national TV? Jorge, everyone makes it up to Canada at some point in their film career. Dinner on me when you get here! !